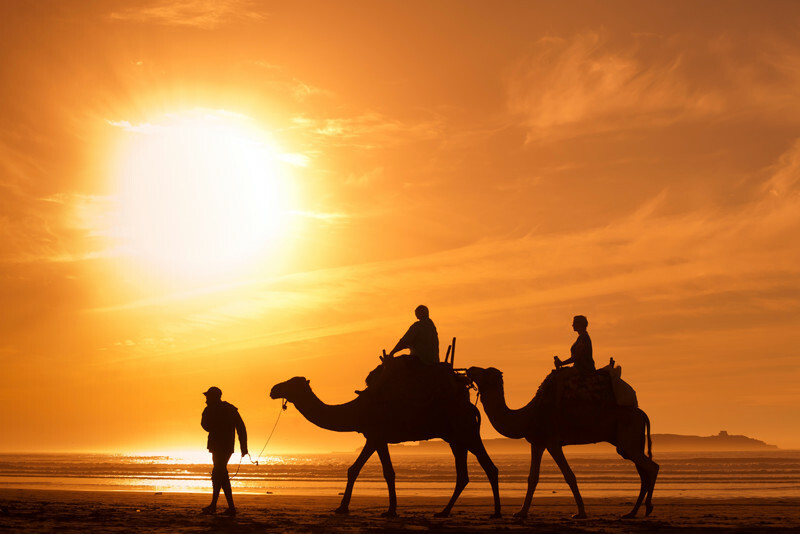 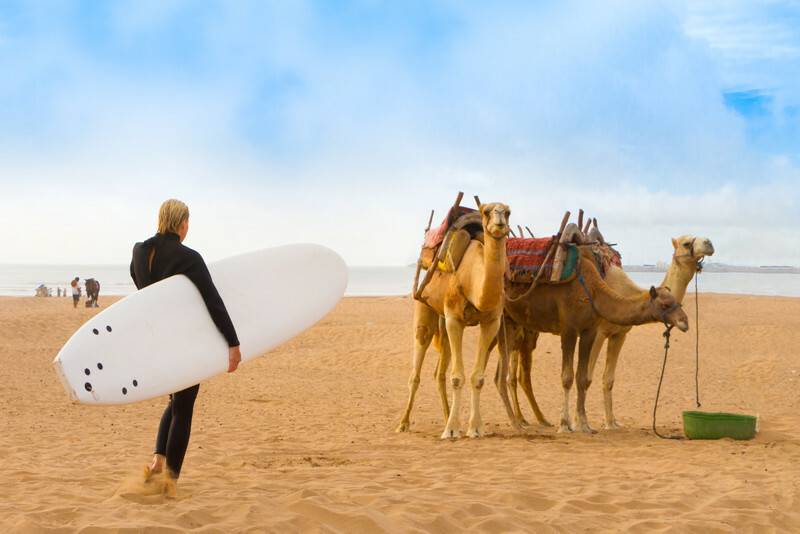 Essaouira beach is exposed to high winds and it has some fantastic waves coming straight of the Atlantic ocean, so it's a Mecca for water sports enthusiasts. 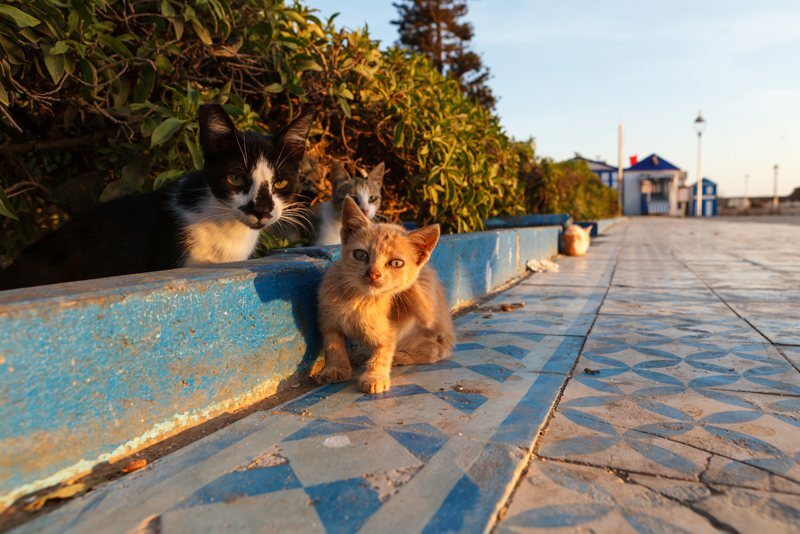 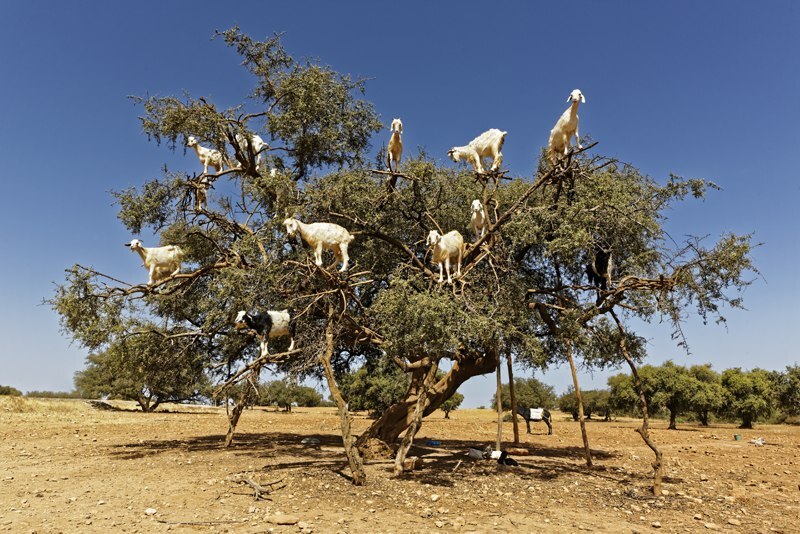 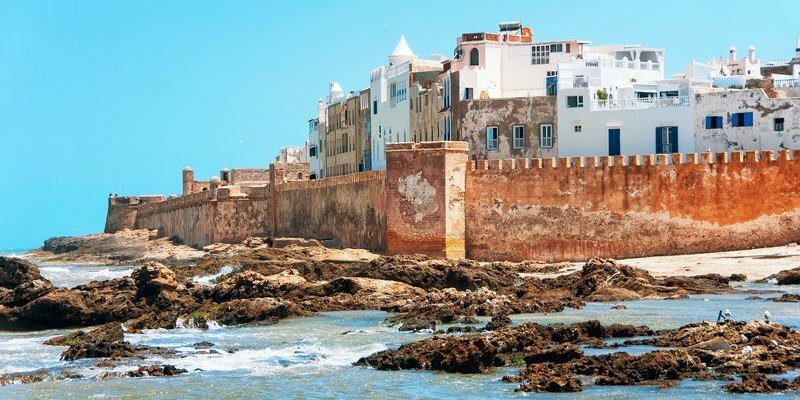 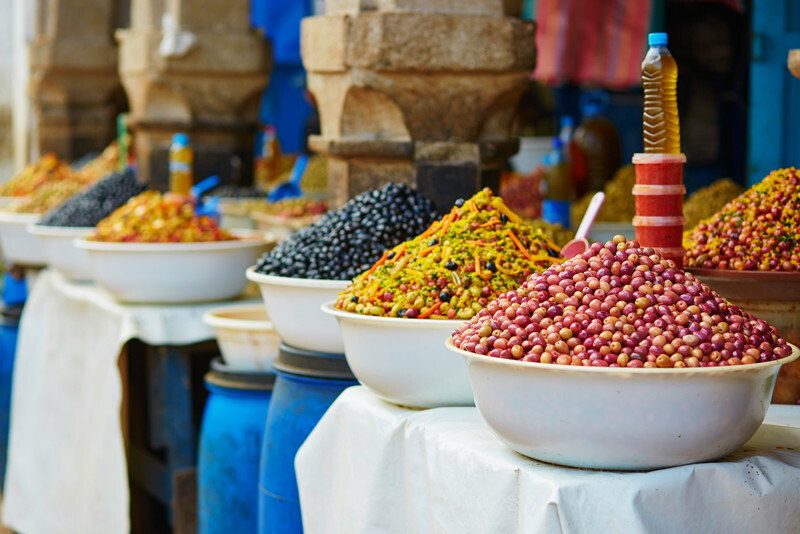 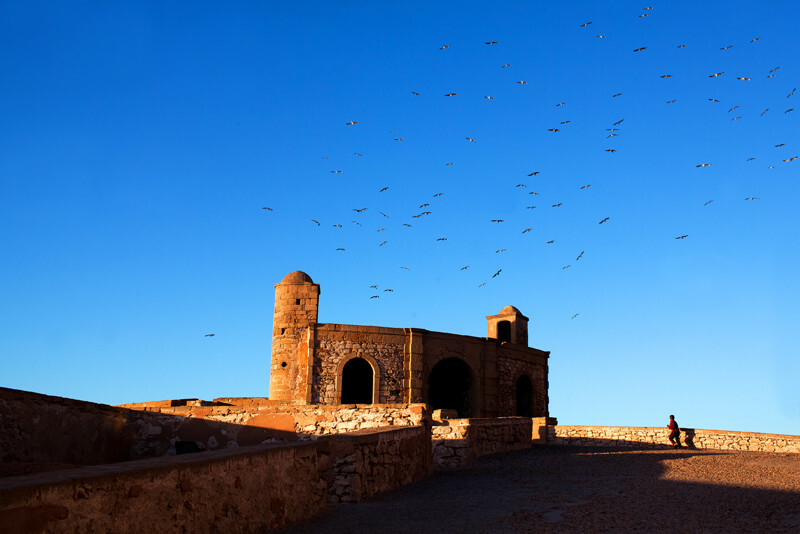 This UNESCO world-heritage site is the highlight of Essaouira. 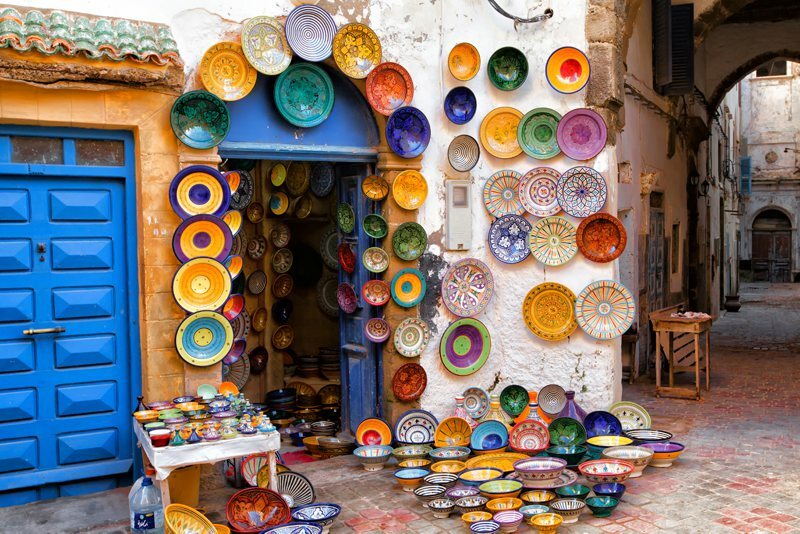 Spend a day exploring and discovering its many alleyways. 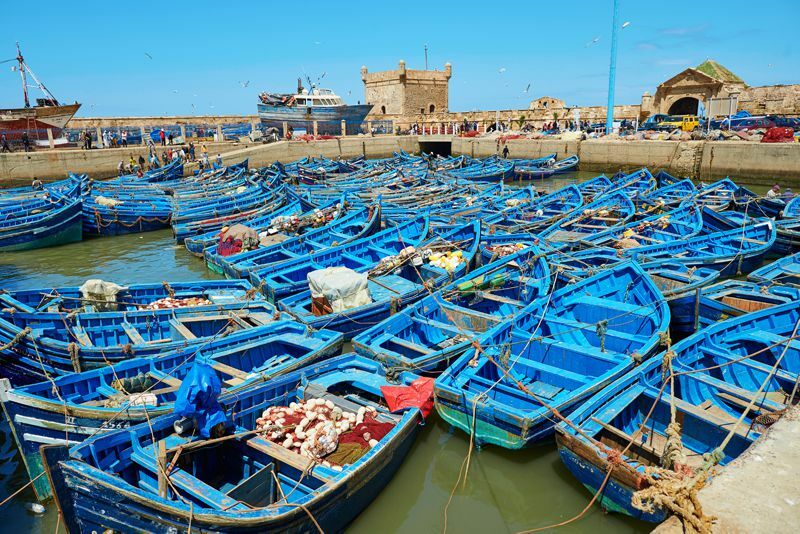 These blue fishing boats make a beautiful backdrop for holiday photos!